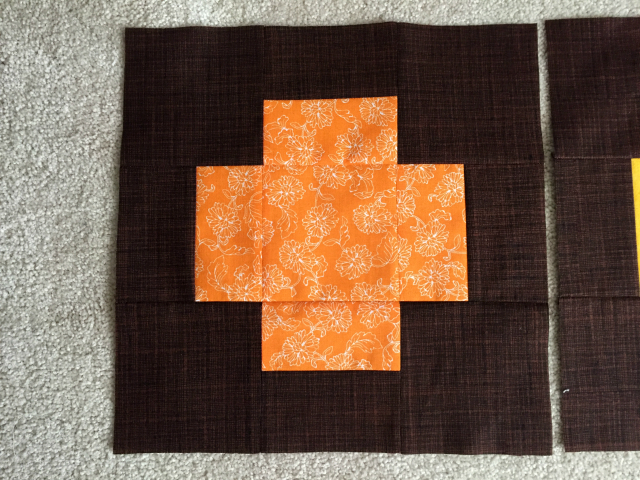 For a few weeks I’ve been taking several free motion quilting classes on Craftsy. Stippling is one of the most popular free motion quilting designs. In Leah Day’s class Free Motion Quilting A Sampler, she begins teaching you stippling /meandering by stitching wiggly “U” shapes. That simple piece of information was perfect for me. Writing the letter “U” was a skill I could easily repeat with my sewing machine. I made a couple of potholders to match the table runner and practiced stippling around the applique. Do you still have your first FMQ project? I wanted a new table runner for November that had a simple modern look. The Greek Cross quilt block came to mind. Creating the blocks were quick and easy. 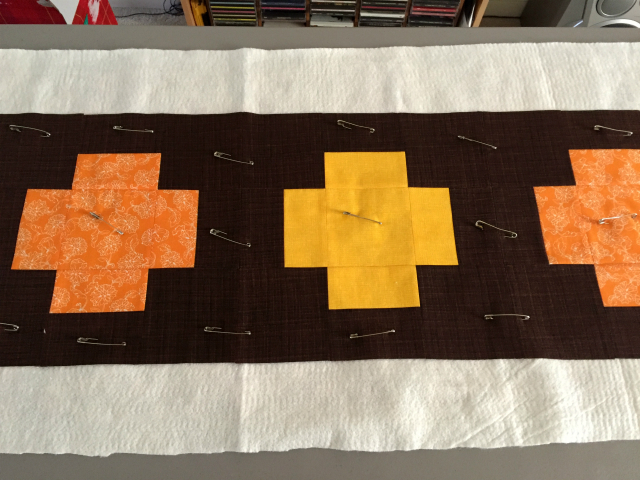 We have a small dining area so three blocks will make the perfect table runner. Best news I used fabric from my stash!! 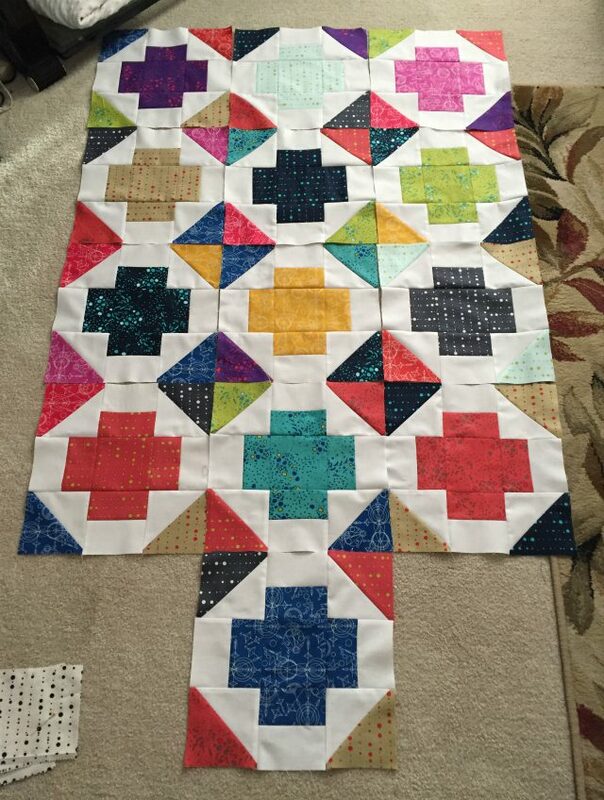 Each block finishes at 12 inches square. I really love the brown background fabric. I had so much fun creating the blocks for the table runner I dug out a couple of Alison Glass 2015 Sun Print charm packs and started creating blocks for a baby quilt! I was inspired by this tutorial from Faith at Fresh Lemons.